Regular Expressions, REGEX or REGEXP for short, is a special text string for describing a search pattern. Within Hotjar, you can define a Regular Expression to target a specific string or pattern in all tools except for Forms. 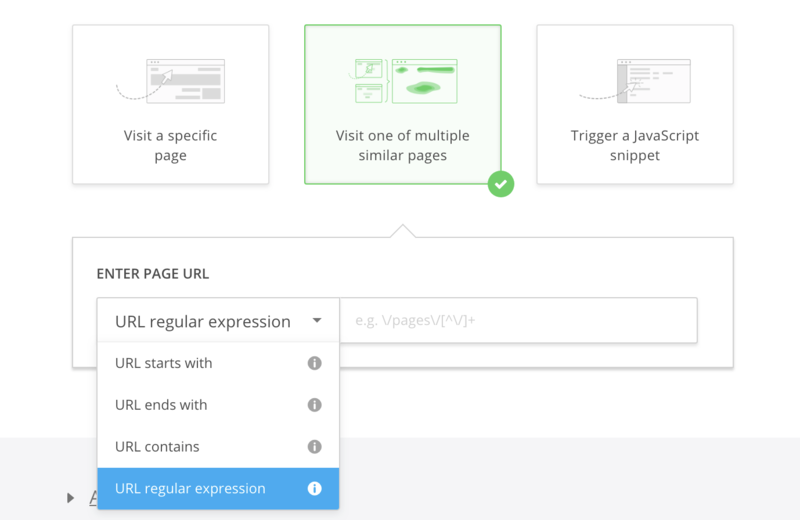 When setting up a tool in Hotjar, you will be presented with a "Page Targeting" or "Targeting" option in which you can select Regular Expressions as your option. Below is an example of setting up a Heatmap and selecting Regular Expression. Need help building your Regular Expressions? Here are some common Regular Expressions to help you get started. If you're unfamiliar with Regular Expressions, we highly recommend taking a quick crash course here! Looking for information on blocking IPs using Regular Expressions? Check out this article here!